The Menstuff® library lists pertinent books concerning various feelings including anger,assertiveness, depression, fear, forgiveness, general, grief, joy, loneliness and shame, which are listed separately. See also books on feelings-general, anger, assertiveness, fear, forgiveness, grief, joy, lonliness, shame and Issues. Cousens, Gabriel with Mark Mayell, Depression-Free for Life: An all-natural, 5-step plan to reclaim your zest for living. Over 50 million people in the U.S. suffer from depression, but what many of them don't know is that all depression is not alike - it has multiple and often surprising physical causes. One person's depression may be the result of low levels of serotonin or dopamine while another's may be caused by a deficiency of glutamine. The author delieves that in order to find the effective treatment, we must understand what he calls the "biologically altered brain" which occurs when the brain suffers an emotional or physiological imbalance, and is unable to restore its own biochemistry. This can happen as the result of genetics, inadequate nutrition, environmental and emotional stresses, and alcohol and other drug uses. It is a major contributor to depression, anxiety, adult attention definict disorder, substance abuse, and an assortment of other addictions. This books shares its 90% effective, 5-step approach to healing depression. He teaches readers to customize this holistic program to fit their unique depression profile. The program focuses on rebalancing the "natural drugs of the brain," supplying the diverse range of biochemicals that profoundly influence mental and emotional well-being. William Morrow, 2000, www.harpercollins.com ISBN 0-688-16500-1 Buy This Book! Curtiss, A. B., Depression is a Choice: Winning the battle without drugs. In our culture, it is taken as an unquestionable fact that depression is a disease, that it is quite common, and that it is the explanation for everything from lethargy to conditions and actions that are much more serious. In her thoughtful and at times explosive new book, the author takes a look at these assumptions, exploring them from a philosophical, psychological and often a deeply personal point of view. She tells us that for many, depression is a choice. Using a technique the author labels "directed thinking", she creates a road map for converting the energy we put into being depressed into a strength that can ultimately lead us out of depression. She also suggests that we are living in a culture that is deeply "psychologized" and that psychological terms and perspectives have become so imbeded in who we are and how we categorize people and things that at times we may rest on those categories, and therefore give up the chance to overcome them, on our own. Depression always ends. Not because of Prozac. Not because of psychotherapy. Not because of psychoanalysis or shock treatments. Depressoin always ends because it is in the very nature of depression to end. The only question is how can we get it to end sooner? Hyperion, www.hyperionbooks.com 2001 ISBN 0-7868-6629-2 Buy This Book! 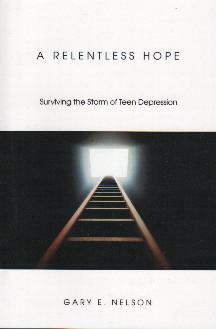 Huber, Cheri, The Depression Book: Depression as an opportunity for spiritual growth. Do you hate your depression? Do you wish it would just go away? How we treat ourselves when we are depressed is more important than getting over it. Rejecting ourselves in this moment is not good practice for accepting ourselves in another. This book suggests that resisting depression - or anything else we don't want - actually maintains it, and that compassionate acceptance of our feelings and ourselves leads us to freedom. Keep It Simple Books www.keepitsimplebooks.com 1999 ISBN 0-9636255-6-X Buy This Book! Irwin, Cait, Conquering the Beast Within: How I fought depression and won...and how you can too, one teenager tells her inspiring story. 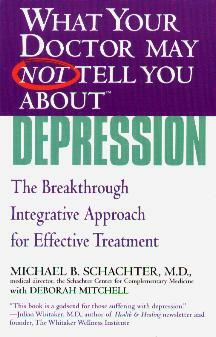 For anyone in the clutchers of the fightening beast that is depression, this book can help. In vivid words and images, the author shares her own compelling story: how she struggled with clinical depression at age fourteen, was hospitalized, sought therapy, found the right medication, and successfully made the long, arduous climb back to good health. This powerful volume shares an inspirational message with all who are waging their own battles with depression: There is a way out. Times Books, 1999 ISBN 0-8129-3247-1 Buy This Book! 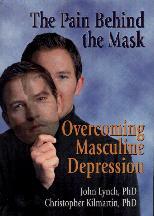 Lynch, John & Christopher Kilmartin, The Pain Behind the Mask: Overcoming masculine depression. Masculine depression is a vicious syndrome that breeds upon your fear of expectations to "be a man, don't cry, and don't be a wimp." How many times have you had these "hard knocks" flung at you by others or even by yourself! This unique book does not portray men as victims: it describes a man's responsibility and proposes realistic strategies for change. 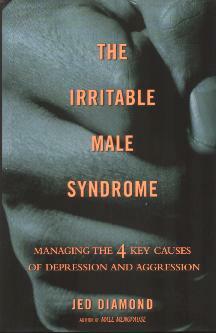 This book focuses on our most destructive social and mental health problem - masculine depression - which goes unrecognized and leads to the violence, abuse and self-neglect that wreak so many men's lives. Haworth Press 1999 ISBN 0-7890-0558-1 Buy This Book! Papolos, Demitri and Janice, Overcoming Depression: The Definitive Resource for Patients and Families Who Live with Depression and Manic-Depression. More than 20 million Americans will suffer an episode of depression or mania during their lifetimes and one in five American families will feel its impact directly. For these people and their families, this book is an essential resource. This newly revised third edition also includes a new section with covers psychiatric therapy in the era of managed care. With up-to-date revisions, this book covers the latest advances made in the field today and is the book for those interested in depression. HarperPerennial, 1997 Buy This Book! Preston, Dr. John, You Can Beat Depression: A guide to prevention and recovery. When we lose loved ones, when marriages fall apart, or when we lose our jobs, it is normal to feel sad and upset. And often when people experience painful life events like these, they will say that they feel "depressed". It's important to note that feeling "sad" or "blue" does not necessarily mean that you are depressed. This highly recommended self-help guide has helped tens of thousands of readers. It has now been completely revised and updated. Learn about the different types of depression. Examine the seriousness of your own condition. Learn to use proven self-help procedures. Recognize when you can "do it yourself" and when you can't. Understand about medications for depression. Find the right professional treatment if you need it. Impact Publishers, www.impactpublishers.com, 2001, ISBN 1-886230-40-4 Buy This Book! Real, Terrence, I Dont Want to Talk About It: Overcoming the secret legacy of male depression. Each year, more than 11 million Americans struggle with depression. Yet, the condition goes mostly undiagnosed - in fact, about 70 percent of sufferers never get help while experts estimate that, with a combination of psychotherapy and medication, between 80 to 90 percent of depressed patients can find long-term relief - if they ask for it. And those who ask for it least are men. Twenty years of experience treating men and their families has convinced the author that depression is a silent epidemic in men - that men hide their condition from family, friends, and themselves to avoid the stigma of depressions "unmanliness". Problems that we think of as typically male - difficulty with intimacy, workaholism, alcoholism, abusive behavior, and rage - are really attempts to escape depression. And, these escape attempts only hurt the people men love and pass their condition on to their children. The book reveals how men can unearth their pain, heal themselves, restore relationships, and break the legacy of abuse. The author mixes penetrating analysis with compelling tales of his patients and even his own experiences with depression as the son of a violent, depressed father and the father of two young sons. Fireside www.SimonSays.com 1997 Hardback. Buy This Book! 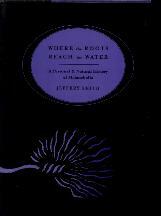 See 1998 for paperback version. Real, Terrence, I Don't Want to Talk About It: Overcoming the secret legacy of male depression. Each year, more than 11 million Americans struggle with depression. Yet, the condition goes mostly undiagnosed - in fact, about 70 percent of sufferers never get help while experts estimate that, with a combination of psychotherapy and medication, between 80 to 90 percent of depressed patients can find long-term relief - if they ask for it. And those who ask for it least are men. Twenty years of experience treating men and their families has convinced the author that depression is a silent epidemic in men - that men hide their condition from family, friends, and themselves to avoid the stigma of depressions "unmanliness". Problems that we think of as typically male - difficulty with intimacy, workaholism, alcoholism, abusive behavior, and rage - are really attempts to escape depression. And, these escape attempts only hurt the people men love and pass their condition on to their children. The book reveals how men can unearth their pain, heal themselves, restore relationships, and break the legacy of abuse. The author mixes penetrating analysis with compelling tales of his patients and even his own experiences with depression as the son of a violent, depressed father and the father of two young sons. Fireside www.SimonSays.com 1998 The paperback version. Buy This Book! 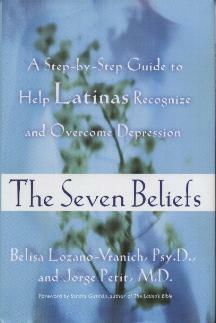 Vranich, Belisa Lozano- and Jorge Petit, The Seven Beliefs: A step-by-step guide to help Latinas recognize and overcome depression. For many Latinas, and their relationships, fighting depression is a lonely, lifedraining battle. Afraid of being considered crazy or loca, Latinas go to great lengths to deny the toll depression takes on the quality of their lives and their relationships. Whether it enables the recognition and understanding of depression in themselves or a sister, best friend, or cousin, this book opens the door for healing in a poignant way. It shows Latinas that confronting and overcoming depression is possible if they look at each aspect of their lives, step-by-step. In a friendly, easy-to-read format that combines medical guidance with traditional wisdom, it encourages Latinas to confront depression in an assertive and empowering way. Using stories and letters from patients they have encountered, the authors show readers how to take charge of their lives so that they can become physically, emotionally, and spiritually balanced women. Rayo, www.harpercollins.com, 2003, ISBN 0-06-001265-X Buy This Book!